Description: Our book printing service gives you A4 perfect bound books printed with a full colour gloss laminated cover and full colour inner pages. Our perfect bound books are printed on eco-friendly paper from sustainable sources. 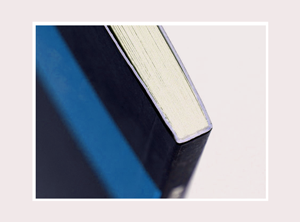 If you need your perfect bound book printing sooner, contact us to discuss a quicker delivery time. Other quantities and paper weights also available for request. We are offering FREE MATT LAMINATION with either FREE HI-BUILD SPOT UV or FREE FOIL to all Perfect Bound Book orders!